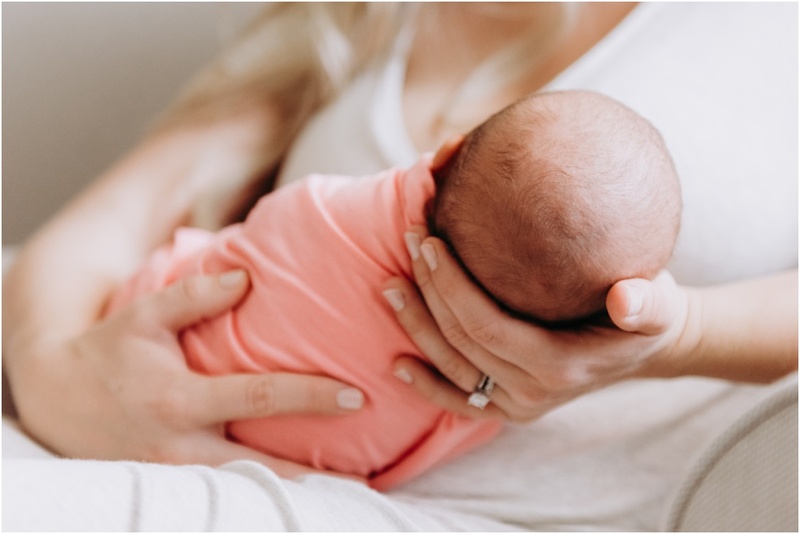 Family newborn sessions always steal my heart. There is something to special about being invited into a family's home to capture their new reality of life with a brand new baby. I love being able to use elements of home to tell the story. But it's more than just making sure the family (and Miss Mattie, here) has photos to look back on. THIS is the beautiful house she was brought home to. THIS is what her gorgeous nursery looked like. Just look at Mom + Dad and the outpouring of love for each other and their baby girl. 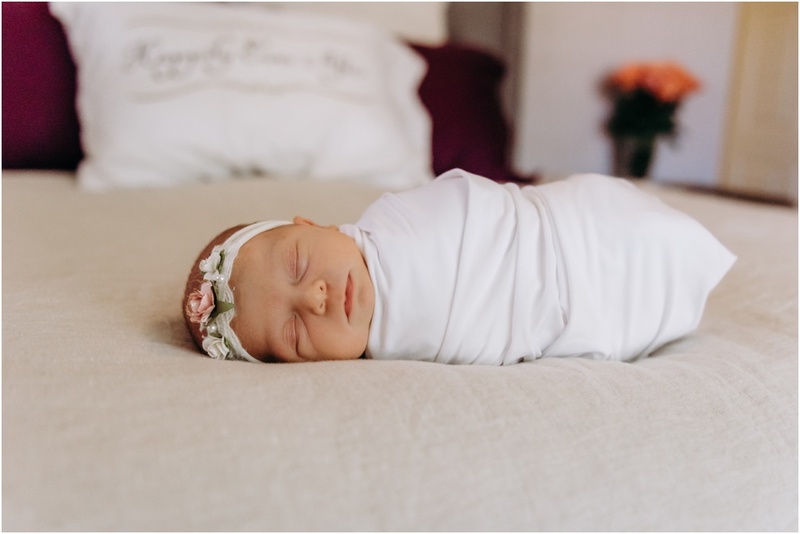 These are the things that make in-home lifestyle newborn sessions so magical. It's truly an honor to help family's tell their new love story. And what a blessing it will be in the coming years for Mattie to get to see how her story began. Mattie's beautiful Central Phoenix home was filled with natural light. We started off in the living room in front of a very large picture window in a simple wrap on a fur rug that I brought from the studio. As she drifted off to sleep, I positioned the family on their living room couch for some family snuggle time. This location shows a hint of their personal style (the handsome leather couch and end table details). Next, we moved into Mattie's meticulously decorated coral and light gray nursery. The details are never lost on me which is why I ask in my pre-session questionnaire what colors or theme is present. I do my very best to select props and colors that will coordinate or compliment Mama's styling. Again, the only lighting present is from her west facing bedroom window. Now onto the master bedroom. I absolutely love incorporating Mom + Dad's space simply because it symbolizes a welcoming of the baby to the family. The master bedroom window light was on the north side of the house which provided some dramatic and soft lighting - perfect for daddy/daughter shots. At the end of the session, as Miss Mattie started telling us she has had enough of being a supermodel, we moved back into the living room for a few more family shots. This time, fur brother, Tex (still a puppy himself) was included. Have I mentioned yet how much I LOVE including pets? How handsome is that sweet face? 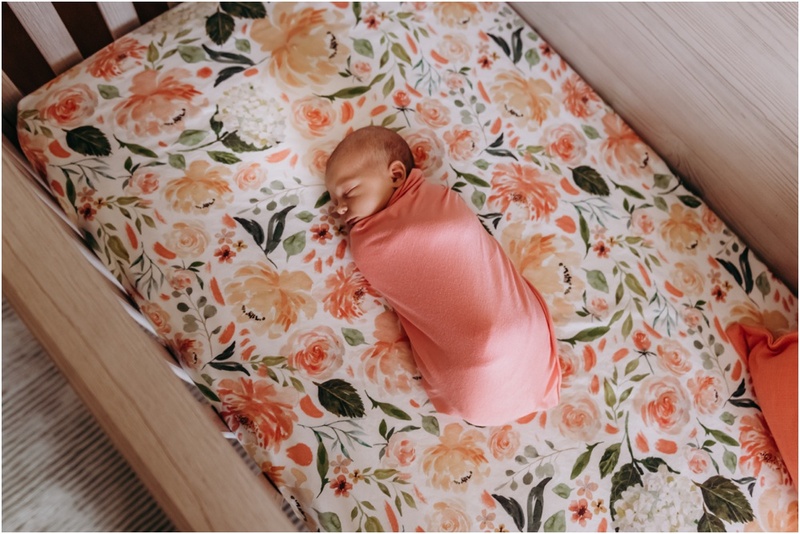 Here are some more Lifestyle Newborn sessions for inspiration! Unsure if an in-home session is your style? Check out my post on How to Know if a Lifestyle Session is Right for You! 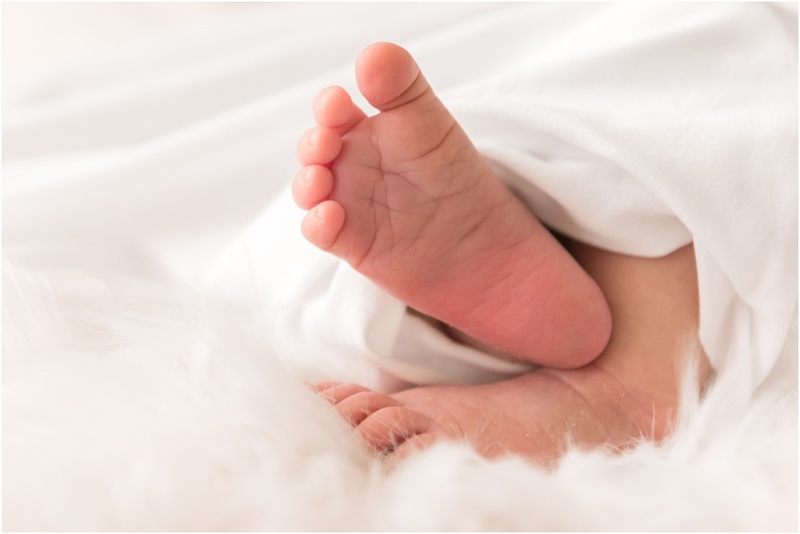 Is a Lifestyle Newborn Session right for you?